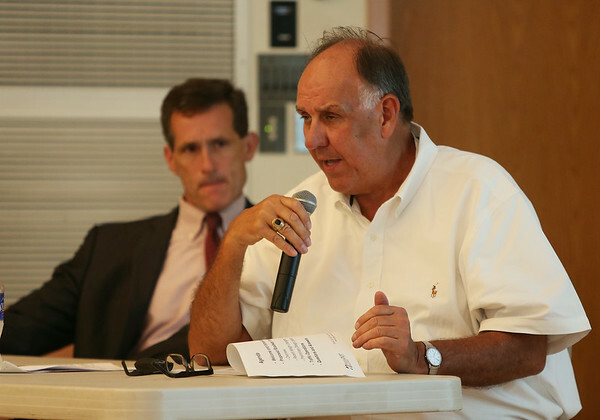 Rod Emery, from Jacobs Engineering talks about the proposed Brimbal Ave renovations during a meeting held at the Beverly Senior Center on Thursday evening. DAVID LE/Staff photo. 7/24/14.